Restore tooth loss and damage quickly and painlessly with dental crowns and bridges. Have you lost a missing tooth? Are you looking for the best dental treatment for your smile? Then it’s time you talk to your Springville dentists Dr. Stephen Pratt and Dr. Stephanie Winterton about your options. Find out how dental crowns and bridges treat tooth loss and replace severely damaged teeth. Dental crowns and bridges are restorations used to replace one or more missing permanent teeth. A dental bridge does exactly as its name suggests, it spans the gap where your missing tooth or teeth once were. A dental bridge contains two dental crowns on either end, with a pontic, or false tooth in the middle. Before you can get your dental crown or bridge your Springville dentists have to reduce the size of your teeth so that the crown or bridge can fit properly. Tooth preparation requires some of the enamel to be shaved down prior to taking impressions of your teeth. These impressions will create a mold from which to design a custom-fitted dental bridge. If we are using porcelain to make your crown and bridges, we will also determine the proper shade to match the color of your smile. A dental lab will then fabricate your crowns and bridges. 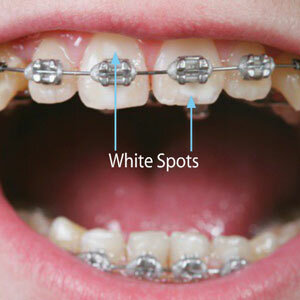 In the meantime, you may wear a temporary bridge so everyday tasks like eating and speaking aren’t affected. Once your crowns and bridges are created, you will come back in for a second visit in which we will remove the temporary bridge and place the permanent one on. We will cement the crowns over the prepared teeth to fix the bridge into place. If you maintain good oral health by brushing and flossing each day and seeing your Springville dentists then your crowns and bridges can last up to 15 years. We will talk to you about the best ways to care for your bridges and crowns so you can get the most life out of your new dental work. Want to learn more about crowns and bridges and whether they are right for your smile? Then schedule an exam with your Springville dentist at Hobble Creek Dental Care to get back that healthy smile. Take charge of your oral health today!